Draft: 2015, Pittsburgh Pirates, 20th rd. Tanner Ackley Anderson was originally signed by Pittsburgh scout Steve Skrinar…is a 2011 graduate of Henry B. Plant High School in Tampa, Florida…Plant High School also produced Hall-ofFamer Wade Boggs…played four seasons of baseball at Harvard as a pitcher and second baseman…went 4-13 with a 5.41 ERA in collegiate career and hit .277 with one homer and 30 RBI... originally majored in biochemical engineering but switched to History of Science and earned his degree in 2015…plays the violin. Made his Major League debut with Pittsburgh and went 1-0 with a 6.35 ERA in six relief appearances over three stints with the Pirates…allowed a .333 opponents batting average and issued eight walks in 11.1 innings for a .444 on-base percentage…yielded a .321 (9-for-28) average against right-handed hitters compared to .353 (6-for-17) against left-handers…issued seven of his eight walks to lefties…allowed 2-of-6 (33.3%) inherited runners to score…first batters faced were 2-for-5 (.400) with a walk…opponents were 0-for-10 with two outs…was selected from Triple-A Indianapolis on June 27 and made his Major League debut July 2 at Los Angeles-NL (2.0 ip, 8 h, 6 r, 5 er, 2 bb, 1 so)…retired the first batter he faced (Bellinger ground out) but then allowed four straight hits…struck out Alex Wood in the fifth inning for his first strikeout…was optioned back to Indianapolis the next day…returned to Pittsburgh July 15 and was credited with his first ML win that day against Milwaukee (1.0 ip, 1 h, 1 r, 1 er, 2 bb)…allowed a run in the top of the 10th but the Pirates scored twice in the bottom of the 10th for a 7-6 win…was optioned July 20…rejoined Pittsburgh for a third time Sept. 4 and logged a 2.16 ERA and .207 opponents batting average in four outings in September…tossed a career-high 3.2 innings Sept. 23 against Milwaukee…also grounded out in his only big league at bat that day…struck out a career-high four in 2.0 innings in his final outing Sept. 30 at Cincinnati. INDIANAPOLIS: Was 3-2 with six saves and a 2.64 ERA in 39 appearances with Indianapolis, all in relief…the ERA was a career-low and the saves and games pitched a career-high…walked 15 batters in 61.1 innings and his average of 2.20 walks per nine innings was second lowest among International League relievers…surrendered just two home runs (0.29 per nine innings), both solo shots…had a .277 opponents batting average, which broke down to .230 (32-for-139) against right-handed hitters compared to .344 (33-for-96) against left-handers…yielded a .292 average with runners in scoring position but that dropped to .194 with RISP and two outs…converted 6-of-9 (66.7%) save opportunities…allowed 7-of-24 (29.2%) inherited runners to score…had a 2.23 ERA in 26 games before the All-Star Break, a 3.24 ERA in 13 games after the break…compiled a 1.91 ERA in 22 games at home, a 3.49 ERA in 17 outings on the road…posted a 0.48 ERA in 10 day games, a 3.59 ERA in 29 appearances at night…went 0-for-2 as a hitter…tossed at least one inning in 35 of his 39 appearances, including two or more 17 times…allowed five runs in 0.2 innings for the loss and blown save in his first outing on April 6 against Columbus…would not allow another earned run until May 28 for a streak of 23.2 consecutive innings without an earned run…that lowered his season ERA to 1.85…had a 16.1-inning scoreless streak from April 8 to May 12…finished May with a 0.68 ERA in 10 appearances…recorded five of his six saves over a seven-game stretch from June 25 to July 28 and did not allow an earned run over that span (8.2 ip)…had a 1.91 ERA when he allowed a season-high six runs in 1.2 innings July 31 at Columbus…also surrendered a season-high five hits in that game and issued three walks, his only outing with more than one walk…had a 4.26 ERA over his final nine contests…logged four of his six saves in the month of July…had allowed just 1-of-18 (5.6%) inherited runners to score through the end of July…then allowed all six of his inherited runners to score in August…struck out a season-high four batters in 1.2 innings against Lehigh Valley, Aug. 7…tossed a season-high 3.0 scoreless innings Aug. 19 at Lehigh Valley, a mark he matched Aug. 29 against Toledo. March 10, 2019 Oakland Athletics optioned RHP Tanner Anderson to Las Vegas Aviators. November 20, 2018 Pittsburgh Pirates traded RHP Tanner Anderson to Oakland Athletics for Player To Be Named Later. September 4, 2018 Pittsburgh Pirates recalled RHP Tanner Anderson from Indianapolis Indians. July 20, 2018 Pittsburgh Pirates optioned RHP Tanner Anderson to Indianapolis Indians. July 15, 2018 Pittsburgh Pirates recalled Tanner Anderson from Indianapolis Indians. July 3, 2018 Pittsburgh Pirates optioned RHP Tanner Anderson to Indianapolis Indians. June 27, 2018 Pittsburgh Pirates selected the contract of Tanner Anderson from Indianapolis Indians. April 5, 2018 RHP Tanner Anderson assigned to Indianapolis Indians from Altoona Curve. February 23, 2018 RHP Tanner Anderson assigned to Pittsburgh Pirates. April 5, 2017 RHP Tanner Anderson assigned to Altoona Curve from Bradenton Marauders. September 16, 2016 RHP Tanner Anderson assigned to Surprise Saguaros. June 30, 2016 RHP Tanner Anderson assigned to Bradenton Marauders from West Virginia Power. June 26, 2016 RHP Tanner Anderson assigned to Bradenton Marauders. April 5, 2016 RHP Tanner Anderson assigned to West Virginia Power from West Virginia Black Bears. August 26, 2015 RHP Tanner Anderson assigned to West Virginia Black Bears from Bristol Pirates. 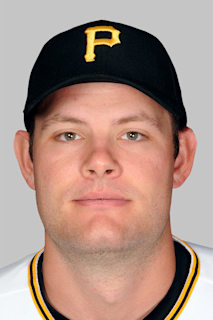 June 17, 2015 Pittsburgh Pirates signed RHP Tanner Anderson. June 17, 2015 RHP Tanner Anderson assigned to Bristol Pirates.